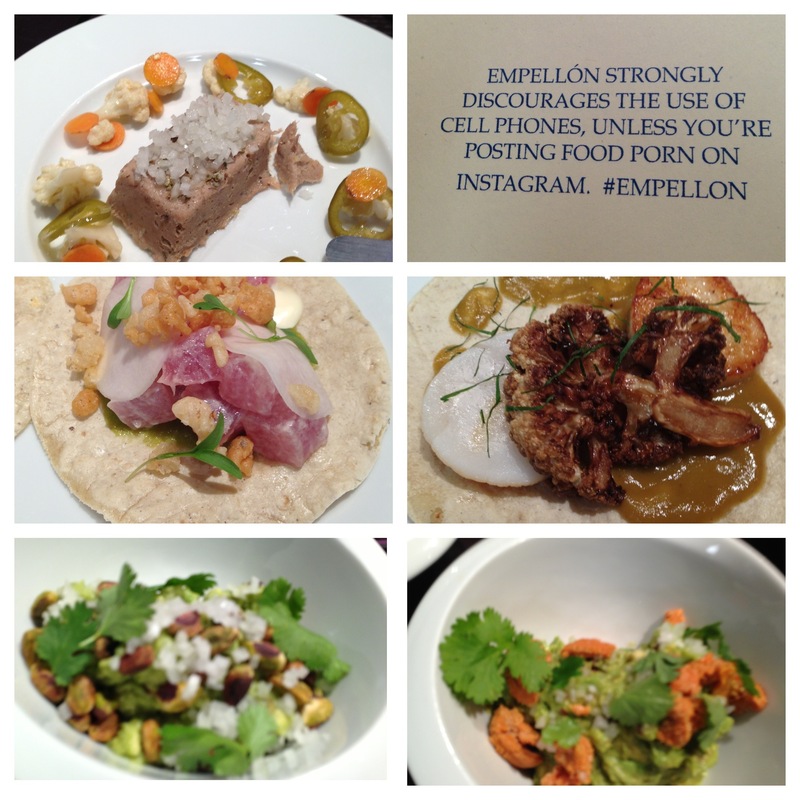 I actually went to Empellon Cocina last weekend for brunch before the announcement, and was a total fan! Here is some of the foodporn that I had (their words, not mine) . Highlights were the Guacamole with Uni and guacamole with Pistachos. All the tacos were excellent as well, especially enjoyed the sea Scallop (pictured) taco, and a crispy kale special taco of the day (not pictured). What I actually loved about the brunch: The chilaquiles and the cochinita pibil hash, they were so good we devoured them and didn’t even take a picture! Great approach on Mexican Brunch. I now need to go for dinner to see the difference. I was very glad for an inventive Mexican in NYC, not your typical Tex Mex approach. Also they were accommodating of my gluten allergy, they made all the tacos for the table with corn instead of wheat tortillas, and were very knowleageable of what I could and couldnt eat on the menu. Also how cute is the menu instagram sign?